On June 30th, the people of DRC celebrated their Independence Day. (To learn more about the history of Congo, check out this brief history written by our Congolese friend) While the country is still groaning in its quest toward democracy and equality, there are many wonderful parts of its culture to enjoy. 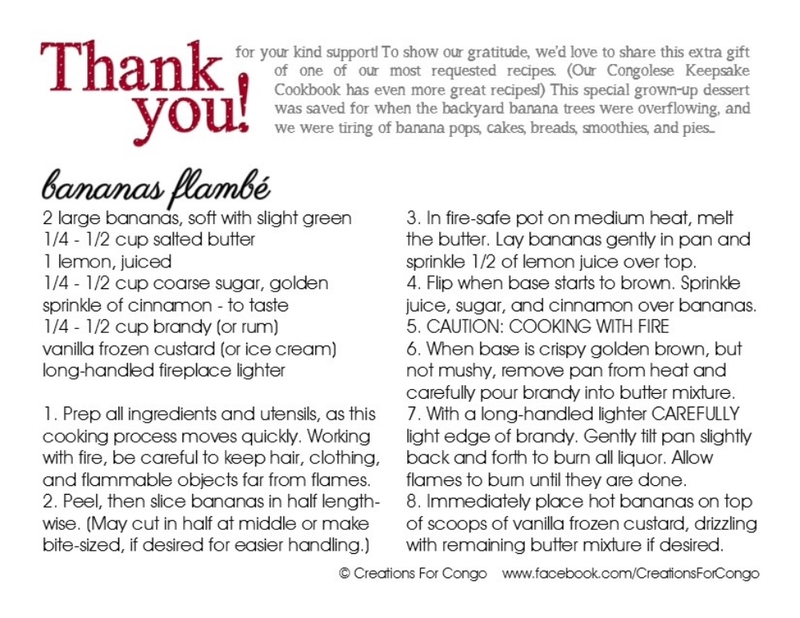 To help us celebrate the holiday, our friends over at Creations for Congo have shared one of their favorite recipes from the Congolese Keepsake Cookbook. Check out them out! Bon Appétit!